In several of my posts, I have pressed the importance of drawing. But it is important to know that not all the greats drew. One artist, in particular, who did not was Diego Rodríguez de Silva y Velázquez (Spanish, 1599-1660). Simply known as “Velázquez,” he was the greatest painter in the history of Spain and admired everywhere by academic and non-academic painters alike. As mentioned in a previous post, Leon Bonnat, who became Director of the Ecole des Beaux Arts, regularly sent his students to Mardrid to study Velázquez’s works. Thomas Eakins said he was the “greatest painter who ever lived.” Painters as diverse as Millet, Manet, Sargent, Degas, Courbet, and Whistler admired and studied Velázquez’s paintings. They alll may have been surprised to learn what modern technology has taught us about Velázquez’s working method. 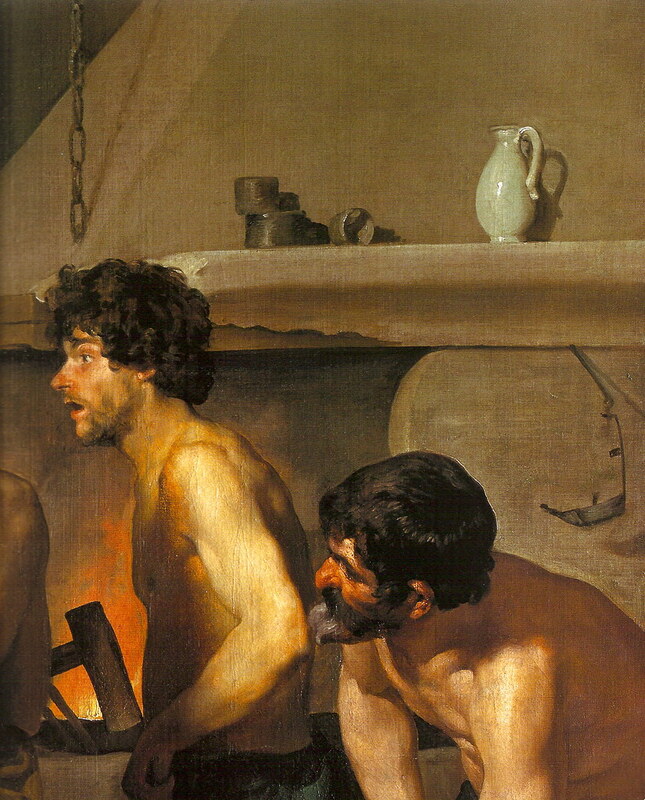 Diego Rodríguez de Silva y Velázquez (Spanish, 1599-1660) The Forge of Vulcan, detail. (1630) Oil on canvas. 230 BY 290CM. Prado Museum, Madrid. In traditional Japanese painting, which also doesn’t exist apart from drawing in the Ingresque sense, they make the distinction between line to which color is added, and imagery built through juxtaposing areas of color. So the whole conceptual framework accounts for an appearance that could never be mistaken for that of Western painting. 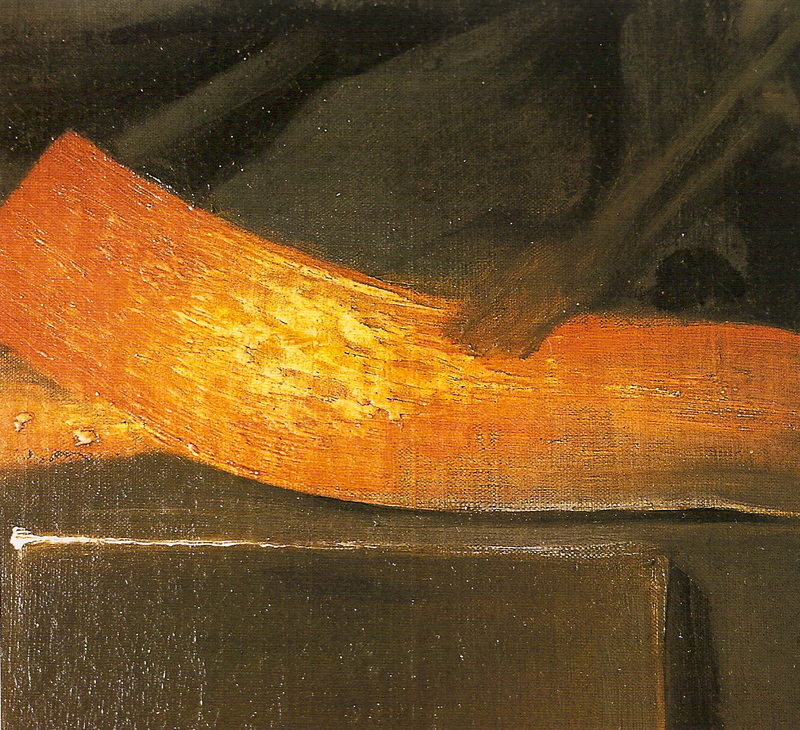 But it looks like Velasquez was actually form-finding with his brush — this is godly and moving to contemplate. And it may account for two particularly dazzling markers of a Velasquez painting. First, the beautifully judged distances, with the eye being given only enough information to take in what’s happening, and no over-painted areas leaping out from too far away, to poke holes in the overall resolution. Second, the uncanny way animal or human hair grows — now we know that it did indeed arise organically, not as an add-on. That Velasquez didn’t draw isn’t exactly true. There are a couple of excellent drawings attributed to him, one of which is highly finished. While the attribution of these drawings is subject to debate, there’s no question he considered linear accuracy in his paintings to be very important, much more so than, say Rembrandt. The fact that he evidently adjusted the contours of his figures shows not so much a disregard for drawing, but simply that he drew as he painted. 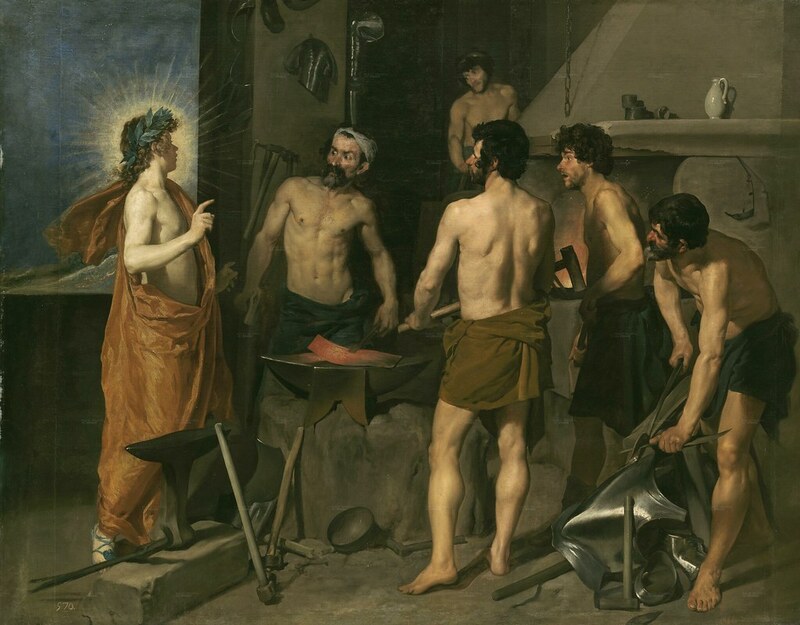 That he achieved such compositions as The Forge of Vulcan without preliminary sketches seems hard to believe, but it’s possible. It’s a shame so little biographical information on him exists. One of the greatest, that’s for sure. You are right. There is a great deal of evidence that Velázquez drew, and we have excellent drawing by him. Looking back at my post, it seems to suggest that his work jumped from his brain, fully formed and on to the canvas. What I was hoping to reflect was what Jonathan Brown’s–long-time author and, perhaps, one of the greatest Velázquez scholars–surprise at the results of radiographic analysis of Velázquez work which show no underdrawings, grids or drawing transfers on key works. To Brown, the lack of these practices was uncommon for the time and especially surprising given exactly what you point out: his work is extremely linear.